Yesterday’s presentation for investors yielded a sizable Disney+ info dump, including details on pricing ($6.99 is bananas), TV projects (Jeff Goldblum is gonna make families thirsty), and new Marvel TV shows–including WandaVision (yes, really), Falcon And Winter Soldier (sure! ), and perhaps most interestingly, What If. 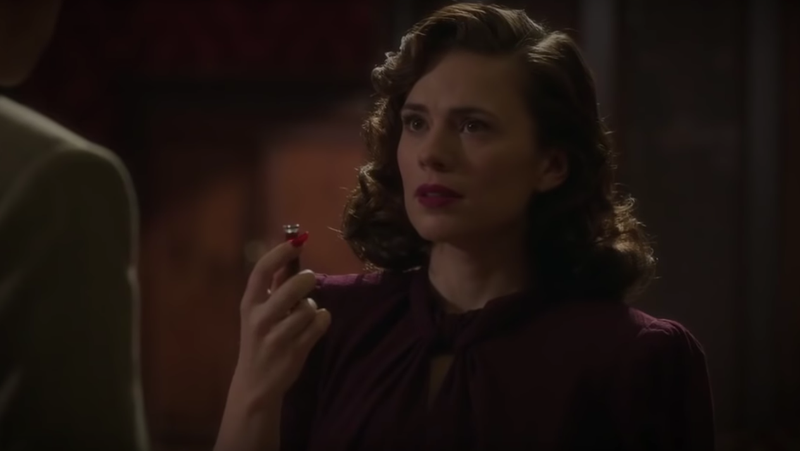 The latter of which is based on a comic book series that presents exciting hypotheticals involving Marvel characters, and as The Hollywood Reporter reveals, the first episode of the Disney+ animated series will explore what would’ve happened if Peggy Carter took the Super Soldier serum instead of Steve Rogers. Marvel head Kevin Feige was on hand to present the studio’s Disney+ offerings to investors, revealing that–unlike the recently-canceled Netflix shows–these series will be connected to the MCU. So things that happen on WandaVision, for instance, will have an impact on the Marvel Cinematic Universe and vice versa. That’s not the case with What If, however, which will operate as a series of alternate realities. Using animation will give the series more creative freedom, while employing actors from the MCU to voice their animated counterparts will ensure What If remains connected to the world fans know and love. In the first episode, Peggy Carter will take the Super Soldier serum, leaving Steve Rogers to find a different way to enlist in the military. While Peggy becomes a badass superhero, Howard Stark (aka Iron Man’s daddy) creates a metal suit for lil Steve to wear so he can fight in World War II. Subsequent episodes will explore similar hypotheticals, sort of like a fun Marvel Twilight Zone. Wait, is Disney+ seriously calling its Scarlet Witch-Vision TV show WandaVision?